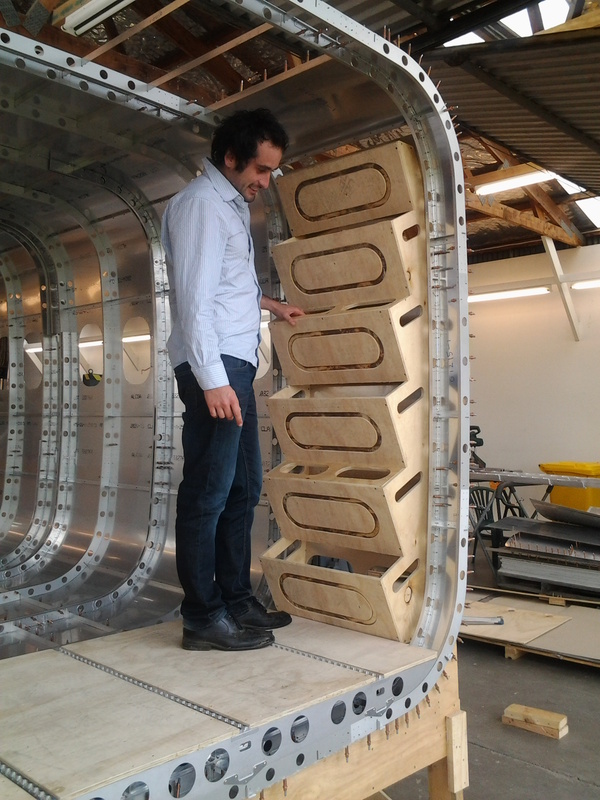 Daniel, one of our engineers, inspecting the door installation. 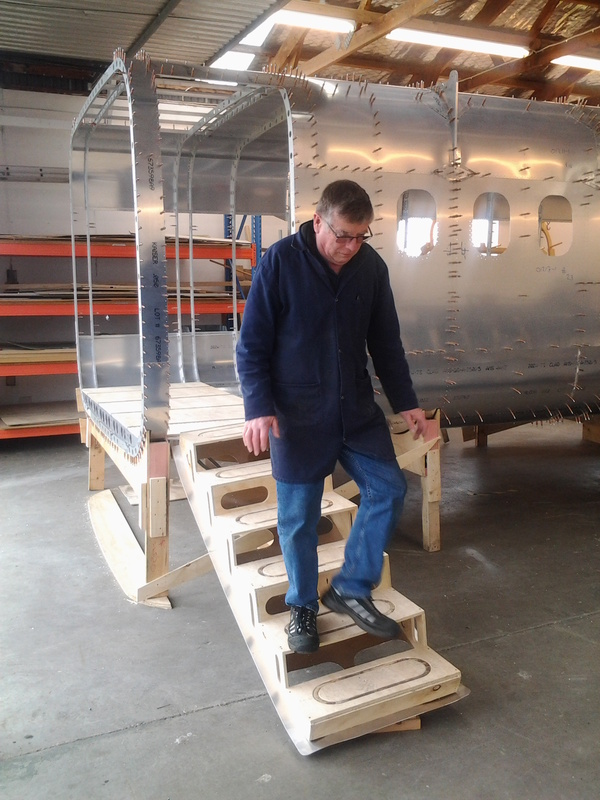 Derek, Workshop Manager, checks out the “proof of concept” passenger door stairs. 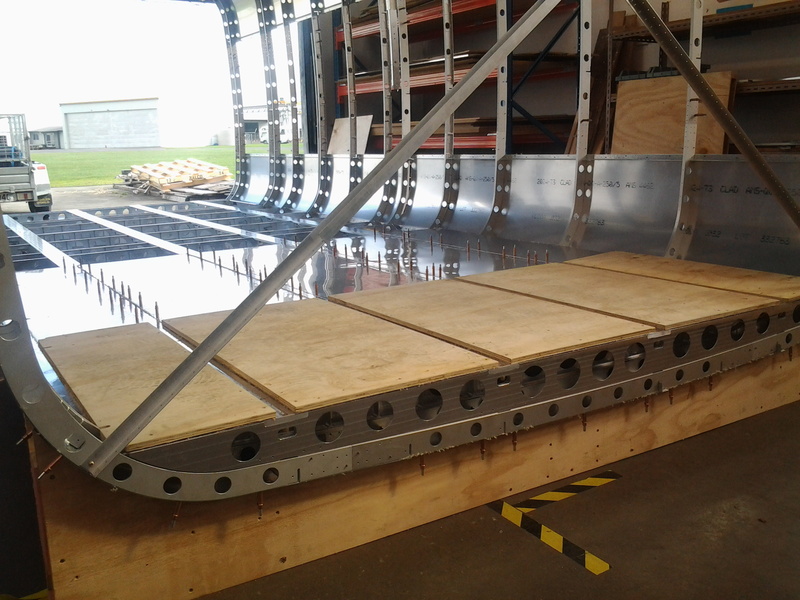 Significant progress has been made on the fuselage floor.